So you want to transfer data from your old iPhone to your new iPhone? Well, iTunes works great, but due to security reasons, it lacks some features. It is a one-way synchronization tool which means you can only transfer files from computer to your iDevices. So I recommend using TunesGo which is a flexible solution for managing contents of your iOS device. 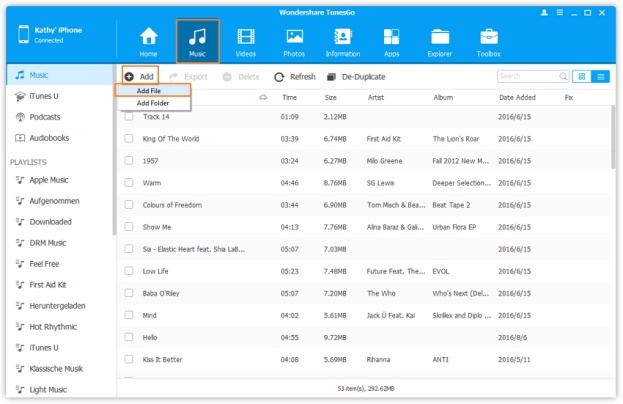 Using TunesGo, you can easily transfer music, photos, movies, ringtones, contacts from PC to iPhone & vice versa. 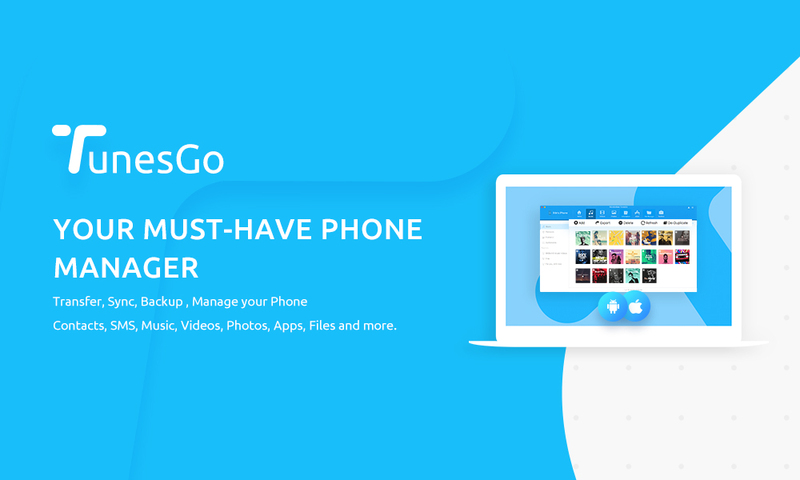 TunesGo is a powerful phone manager for iOS and Android devices. It is probably the best alternative to iTunes. It can even do things that iTunes can’t. Like, you can easily copy data from multiple iDevices. TunesGo can be your one stop solution to manage your entire mobile lifestyle. 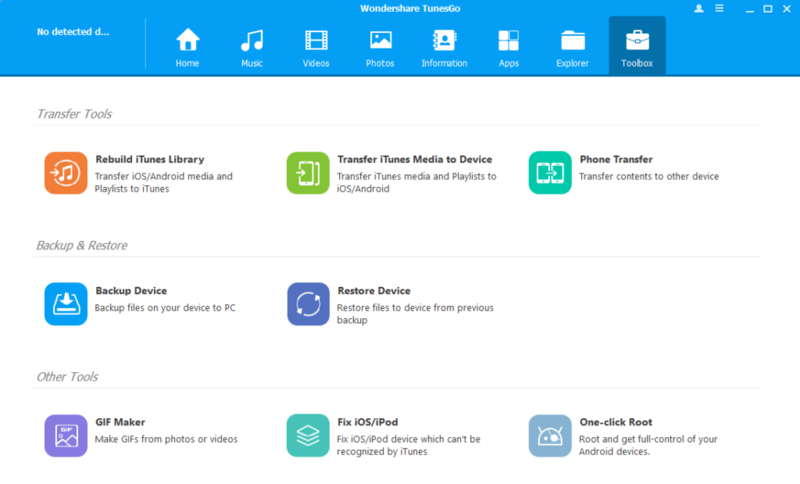 Wondershare TunesGo is available for both Windows & Mac. Two-Way Synchronization – A Complete Solution: iTunes is a one-way synchronization tool: from computer to devices with covering existing files. 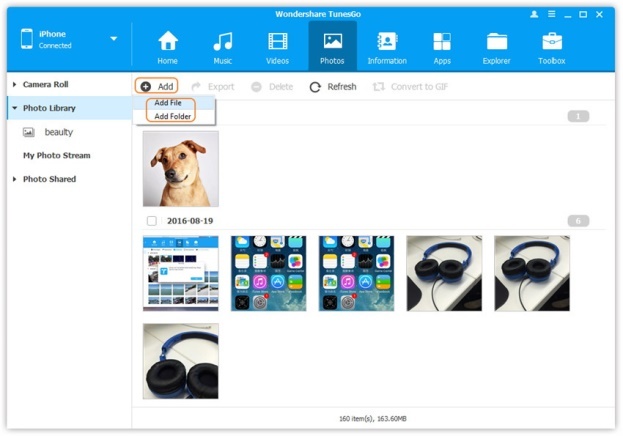 Wondershare TunesGo offers two-way synchronization: from computer to devices from devices to computers without covering existing files. Fix ID3 tags for iOS/Android/iPod devices, including album artwork, play counts, ratings and other related data. Click the De-Duplicate button to remove duplicate music tracks and contacts. 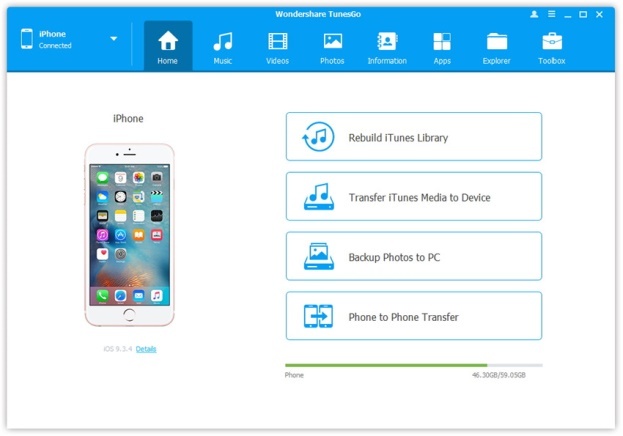 Easily backup & restore data (including contacts & SMS) from your iPhone or Android phone. Make GIFS from your photos or videos. Root your android device in a single click. 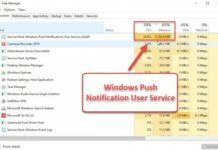 How to Transfer Files from PC to iPhone without iTunes? First, you need to download TunesGo on your PC/MAC. 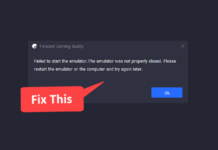 Once downloaded, install it on your computer. Open TunesGo and connect your iPhone to your computer using USB cable. TunesGo will automatically detect your iPhone as soon it’s connected. Once connected, on the top, you can find several options like Music, Photos, Videos and much more. Suppose you want to transfer photos from your PC to iPhone. So click on Photos and further click on the +Add From the drop-down menu, you can select “Add file” to add selected files or select “Add Folder” to add an entire folder. Similarly, if you want to transfer Music from iPhone then click on Music. Again click the +Add button to add music from your PC to your iPhone. You can explore Toolbox where you can find some amazing features such as Rebuilding iTunes Library, Backup & Restore and much more. So if you’re looking for flexible option to manage contents of your iOS device & iTunes library, then I highly recommend using TunesGo.